Magical moments both big and small happen every day at Walt Disney World. What could be more romantic and magical than getting engaged at the most magical place on earth? But where do you start? Do you just “wing it” in front of Cinderella Castle with a few thousand of your closest friends? It’s nerve-racking enough to reach the point of proposing. And saying it OUT LOUD to friends and family that you intend to make your princess your wife…and hope she says yes…can be down-right daunting! Needless to say, planning the perfect proposal can be overwhelming! Sounds like work for a Fairy Godmother. Recently, a Magical Tripcations client facing this task took a big step towards going from boyfriend to betrothed with the help of his own Fairy Godmother. Well, a Fairy Godmother he found in the form of a Magical Tripcations Travel Planner. Meet prince charming, our client Jonathan, and his Fairy Godmother, Mary-Morning, a Magical Tripcations Travel Planner. Mary-Morning and Jonathan had already been hard at work planning he and his girlfriend’s vacation to Disney World when he contacted Mary-Morning with the exciting news. Jonathan knew that he wanted to get down on one knee and propose to his love. He knew beyond a doubt who he wanted to marry but he needed the how and where to propose and the magic. Instead of winging the proposal on his own, he needed a little extra help to plan this one last enchanting detail for their upcoming trip. 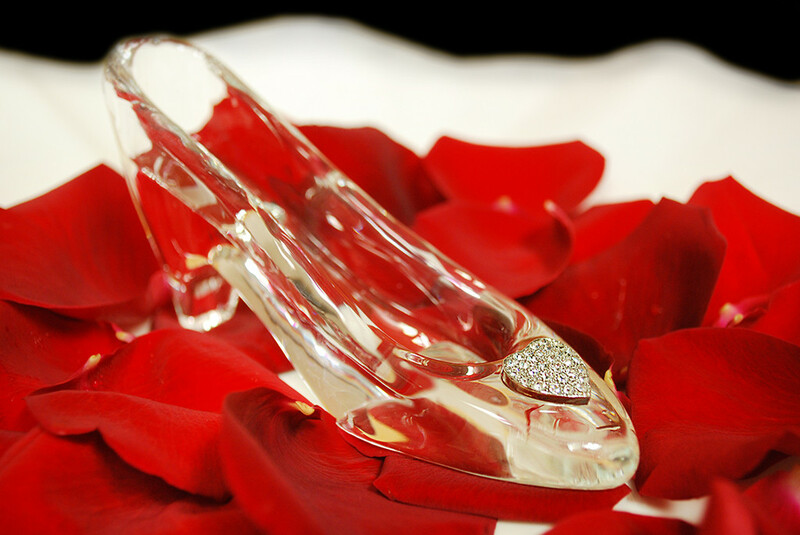 Mary-Morning went to work to find the most romantic way her client could propose and found the exclusive proposal package at Cinderella’s Royal Table: The Glass Slipper, A Royal Engagement at Cinderella’s Royal Table. 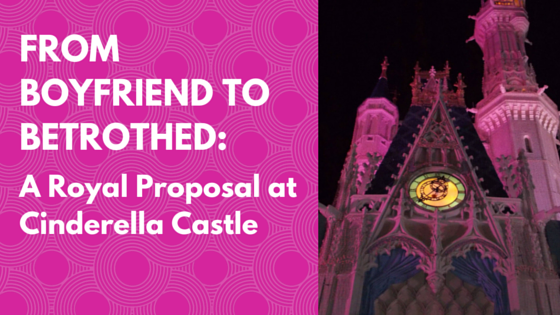 Instead of proposing in front of the iconic castle, he would be able to propose while dining within the castle walls! Perfect! With the wave of her wand and the assistance of the Special Events Coordinator at Cinderella’s Royal Table, the stage was set for Fairy Tale dining for two at Cinderella’s Royal Table. A royal proposal would soon be complete. The happy couple arrived to the castle and were seated in the picture perfect spot next to a castle window with views of Magic Kingdom all around. Following their meal, a Royal Attendant presented a glass slipper on a covered platter of rose petals after the entrees were cleared from the table. The Royal Attendant then set the covered platter down and announced “The chef has prepared a special dessert”. Then, the server took off the lid and Jonathan proposed to his princess and she said yes! What a sweet and magical moment they shared (and much swooning and cheering from other royal guests who shared in the moment)! The proposal and magical moment! Alas, the fun wasn’t over yet! 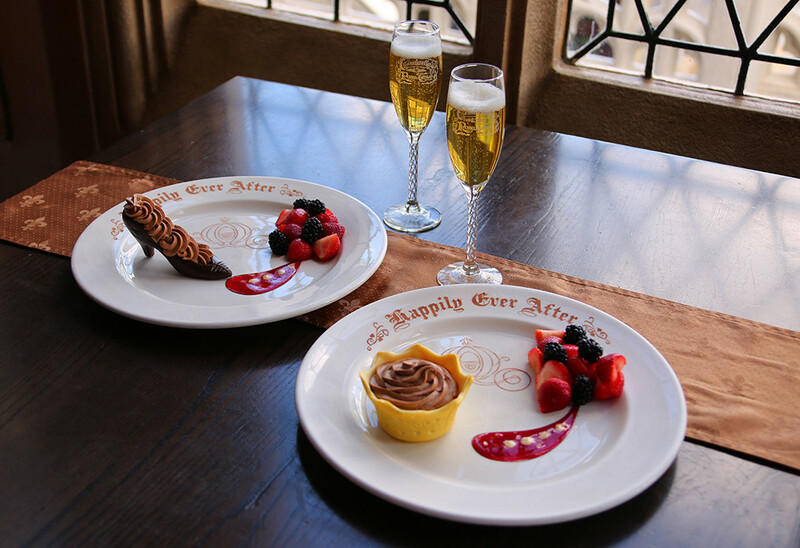 Following the proposal, their signature desserts arrived and the happy couple was able to toast to “happily ever after” in beautiful commemorative toasting flutes. A Photopass photographer was there to capture the magical moments topping off the perfect evening! “Mary-Morning, I just wanted to say thank you again for all of your help in planning our trip. Here is a photo from the moment I proposed. 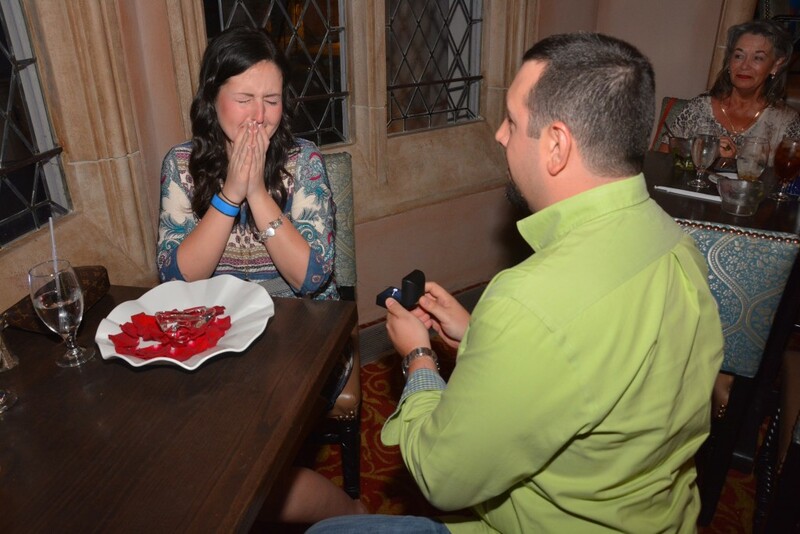 Everything was wonderful and we had a fantastic time!” – Jonathan R.
In the words of Cinderella, “A dream is a wish your heart makes.” And how truly honored we were to be able to play a small part in our client’s wish for a magical proposal! That’s what the team at Magical Tripcations is dedicated to do. We turn your dreams into realities one wish at a time. Please let us know if we can assist you and of course, we wish the couple a happily ever after.